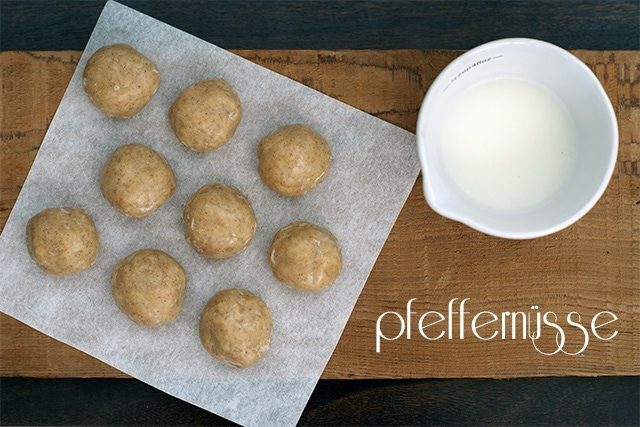 Pfeffernüsse, aka pepper nuts, are a traditional German cookie featuring aromatic spices and a sweet icing. 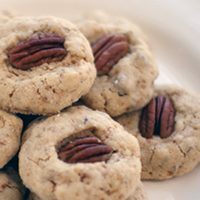 Like any good cookie recipe, there are dozens and dozens of variations of the spices and ingredients used, but all bakers agree that the result is a spicy, dry cookie that is small enough to grab by the handful! As I was looking through various pfeffernüsse recipes, I was especially drawn to those that feature cardamom. Ever since Shaina made pear italian soda with cardamom cream at our house, cardamom has been among my favorite spices, and since I don’t have anise on hand (another popular pfeffernüsse spice), cardamom was the perfect alternative. 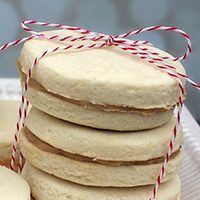 These cookies are easy to make, and I really do love that the cookies themselves are spicy but not overly sweet, especially with the sweet citrus icing on top! In a small saucepan, combine butter, honey and sugar and heat on low until all three ingredients are melted and incorporated. Remove from heat to cool. In a medium bowl, mix the dry ingredients. Form a well in the flour for the warm butter mixture. Mix to form a smooth dough. 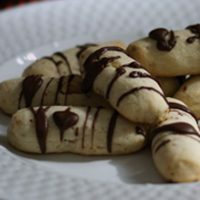 Shape 3/4″ dough balls and place them on a cookie sheet or stone. Bake for 20-23 minutes until the cookies look dry. Brush or drizzle icing over each cookie. For even smaller cookies, roll the dough into a small log (1/2″ in diameter) and cut 1/4″ slices from the log. Click here to add the recipe to your Plan to Eat account. 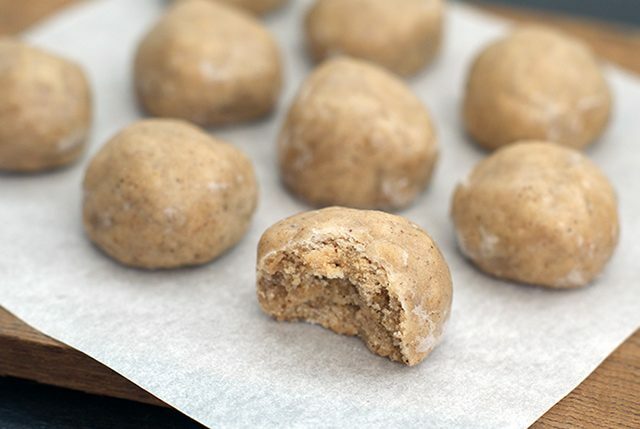 Can regular granulated sugar be used in the cookie dough? You could use regular sugar; it will just take longer to melt during that first step! Now that I’ve used castor sugar (which is really fine), I don’t think I’ll ever go back to the regular! They look awesome. I like that they have the glaze instead of biting into a cloud of powdered sugar like some recipes. Thanks for the reply. Do you think that you could freeze these before icing them? At the size I made them, it made 3-5 dozen. But that will obviously vary depending on the size of the cookie.